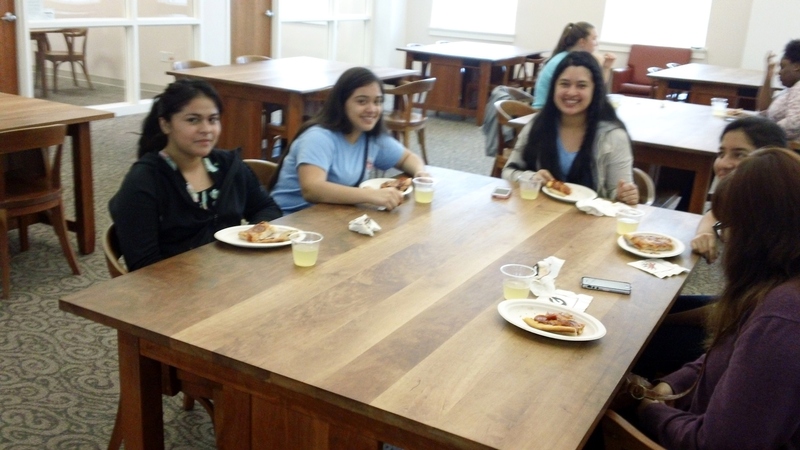 The field trips of Clarke County School District (CCSD) students to our campus at UGA keep getting better and better. 🙂 The quote that titles this blog post perfectly summed up the sentiment of a little boy who I overheard speaking at loud as he, our student teacher, and his classmates were headed to their school buses for departure. 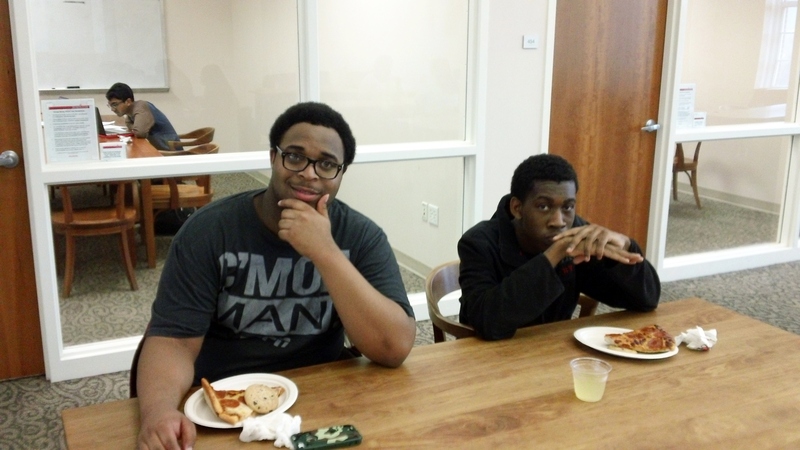 His asserting that he never wanted to leave UGA and “like it” was exactly what we want to hear coming from students. 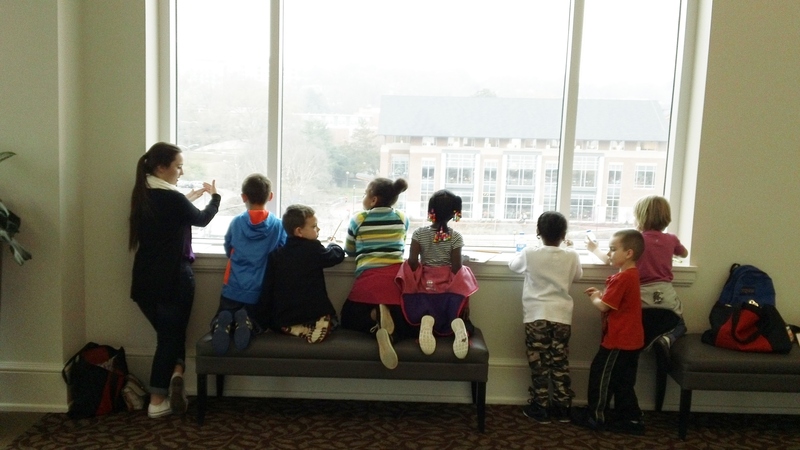 Such a response let’s us know that our partnership is working and also we are to not become complacent as we ultimately want to turn that sentiment form “like it” to “love it!” In the picture above one of our early childhood learning students at UGA engages a group of kindergarteners to identify geometric shapes while gazing over a larger view of campus. I so love this picture as it is a perfect metaphor and meme of our efforts to encourage these student to look out into the larger world and tell us what they see. At the same time, we are positioning ourselves as educators to help facilitate their increased view of themselves and their community. 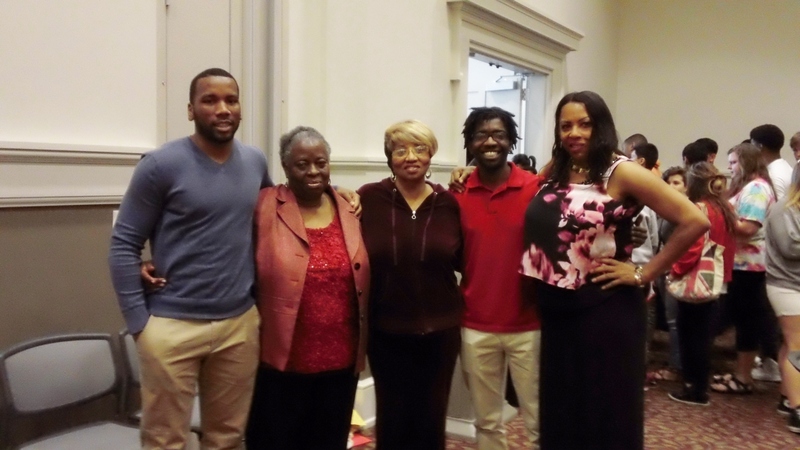 We are also positioning them to make the connection of how UGA is very much a part of the community as we seek to form relationships of reciprocity being a land-grant university committed to teaching, research, and service. In addition to our “write-and-draw” exercise we do with the students to encourage them to draw geometric shapes, the student-teachers take time out to enjoy a snack with the children and read an engaging story. 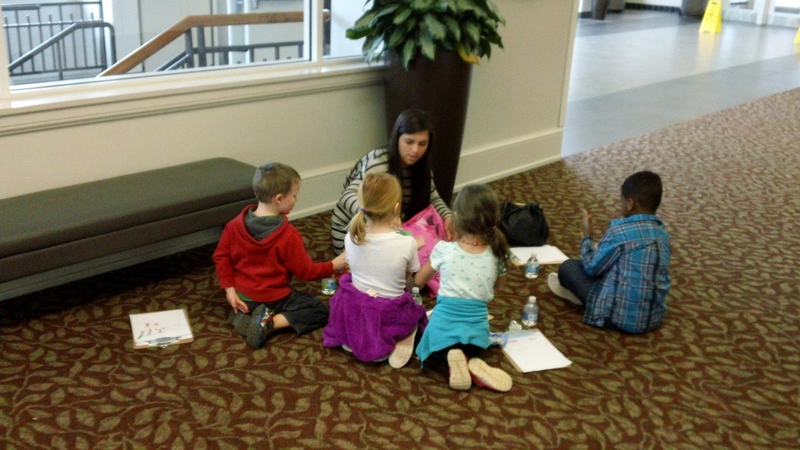 They are encouraged to interact with the student-teacher and to share their ideas and impressions during story time. There are few words to express how moving and informative a field trip this particular one was for both us as adults and for them as youth negotiating issues of race, civil unrest via Ferguson, and how they are to interact with police. It was surreal to realize that we had plans to coordinate with the CCSD teachers’ curriculum on this topic and subsequently major life events interjected requiring we be very intentional and purposeful as we negotiated sometimes sensitive topics of racial violence and police authority. However, fortunately for us you would have been hard pressed to find a better group of folks more up for this task. 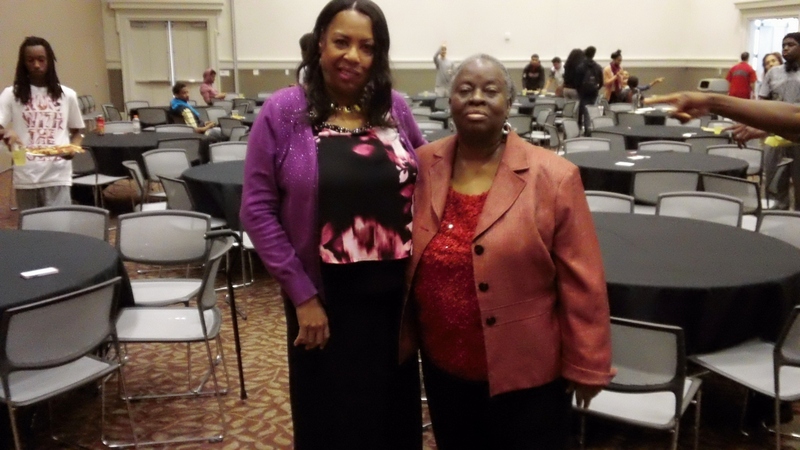 We were truly blessed to have with us for the field trip with CCSD high school students, Mrs. Shirley Taylor and Mrs. Carolyn Turner who were a part of the Athens Civil Rights Movement as high school students themselves. They participated (as high school students) in protest marches, sit-ins, and faced racial hostility from the local policy who used dogs and intimidation at that time in an effort to dissuade the student movement. 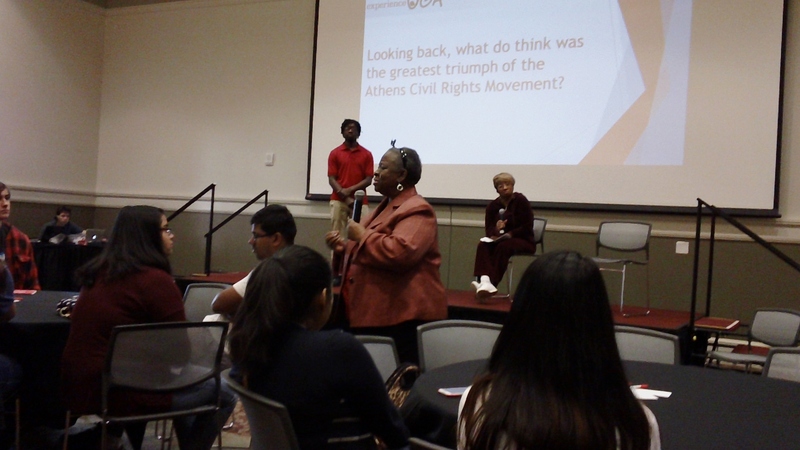 Both Mrs. Taylor and Mrs. Turner are feature in the video production we shared with the students called “If We So Choose” which offers emotionally riveting testimonials of other Athenians who participated and witnessed the Athens Civil Rights movement. 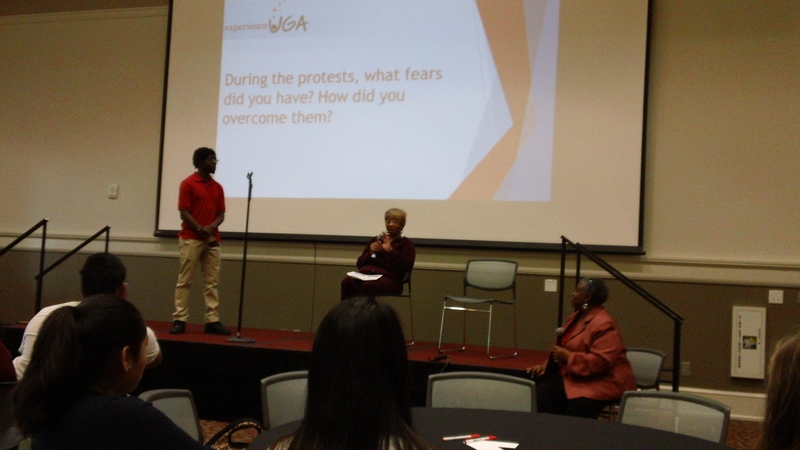 UGA undergraduate Mansur Buffins is a Sociology major and did an excellent job of creating dialogue through powerpoint presentations and interactive skits in order to engage the students more deeply into the topic of civic and human rights. 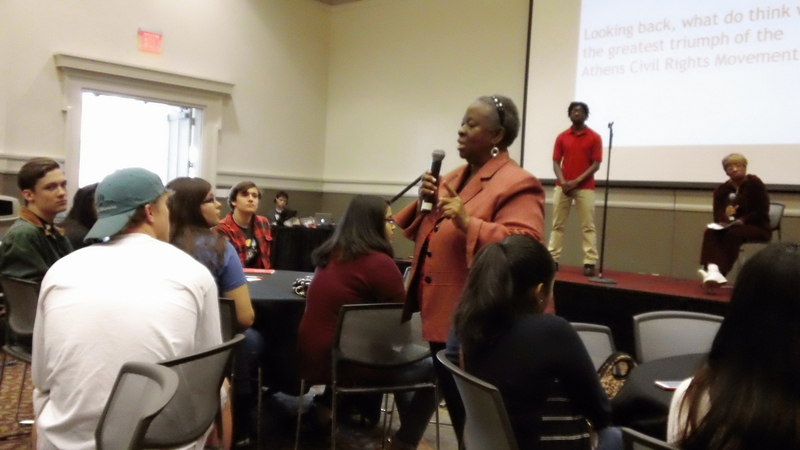 We had two separate venues on two different days so that we could ensure that all of the CCSD high school 11th graders could attend. 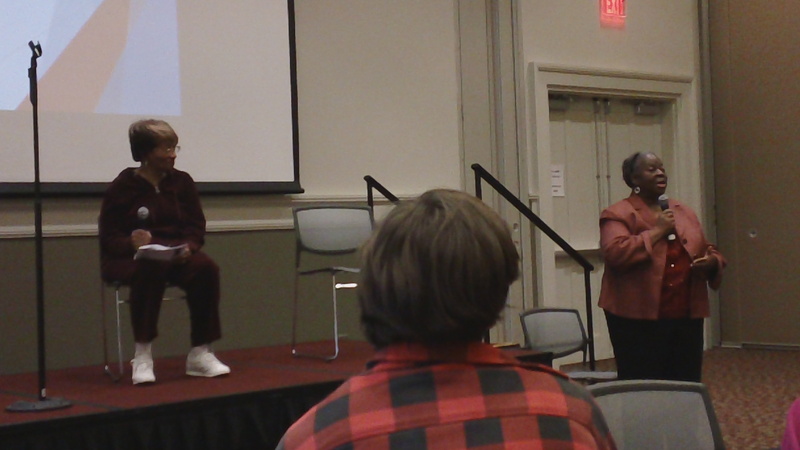 Clarke County School District high schoolers (and myself) listen with high intensity and interest to the stories about the Athens civil rights struggle offer by our guest speakers. 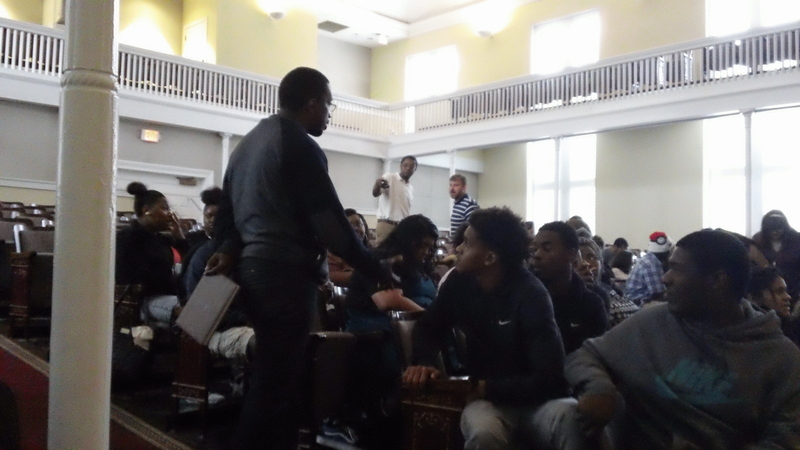 UGA law school student and Black Student Law Association (BALSA) member Jonathan Stuart took the lead for a teach-in session with the high school students, particularly offering points of advise to black males as they negotiate police encounters. 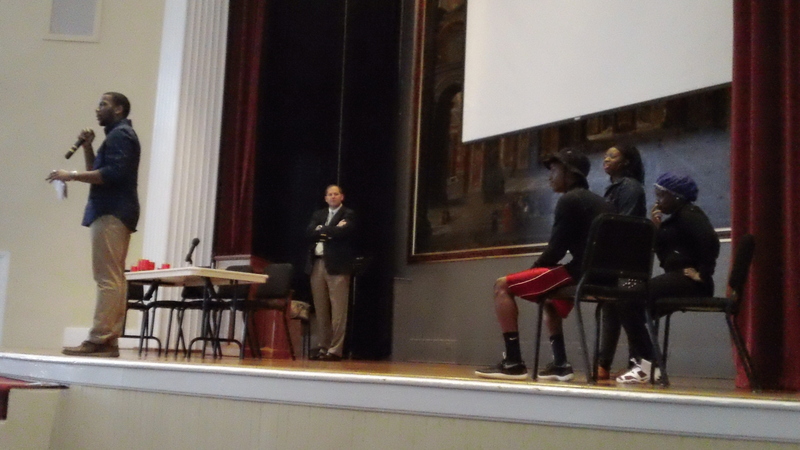 Jonathan provided instruction on both days of the teach-in and was joined by fellow BALSA students. They engaged the youngsters in discussions and answered some of their questions regarding their rights and best practices when interacting with police. On yesterday we were jointed by UGA Police Chief James “Jimmy” Williamson who talked about his efforts to increase racial competencies among his police officers. 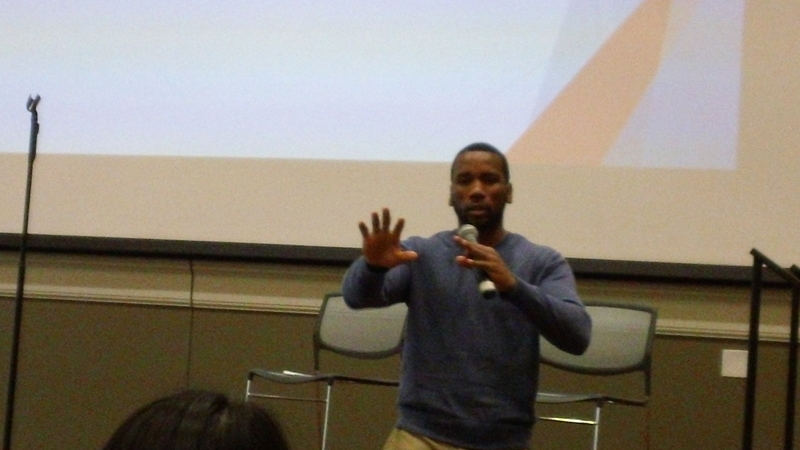 More poignantly, he was very transparent with the audience by sharing his own story of a police encounter he found less than pleasant to say the least. 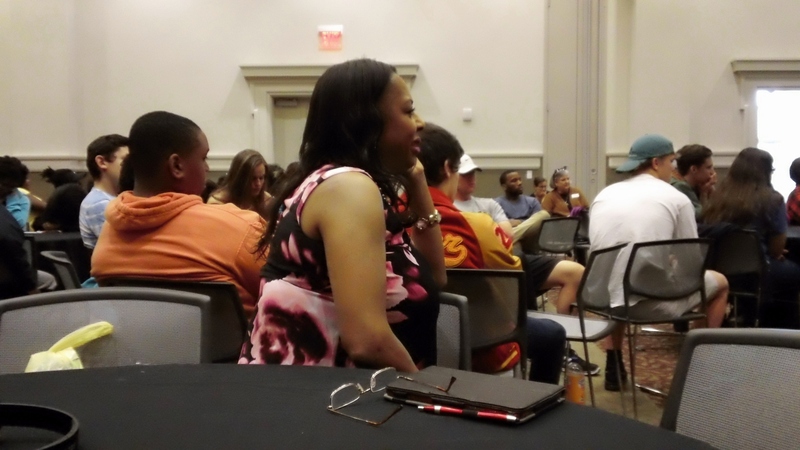 Chief Williamson then went on to mention how his wife (a UGA Sociology Professor) brought to his attention how his privilege as an educated-white male allowed him to deflect the less than cordial officer’s attitude. She went on to emphasize to him how some conflicts can arise when people of different cultural backgrounds encounter police and things escalate unnecessarily. Chief Williamson’s transparency in his remarks was refreshing for me personally. 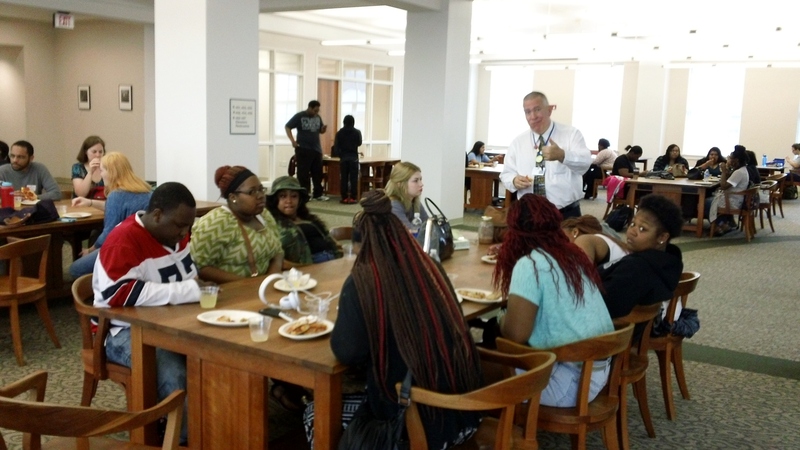 UGA Police Chief James E. Williamson engages students, teachers, and staff during the Experience UGA civil and human rights field trip. BALSA law schools students head out into the audience to dialogue with the high school students and answer some of their questions about their legal rights. 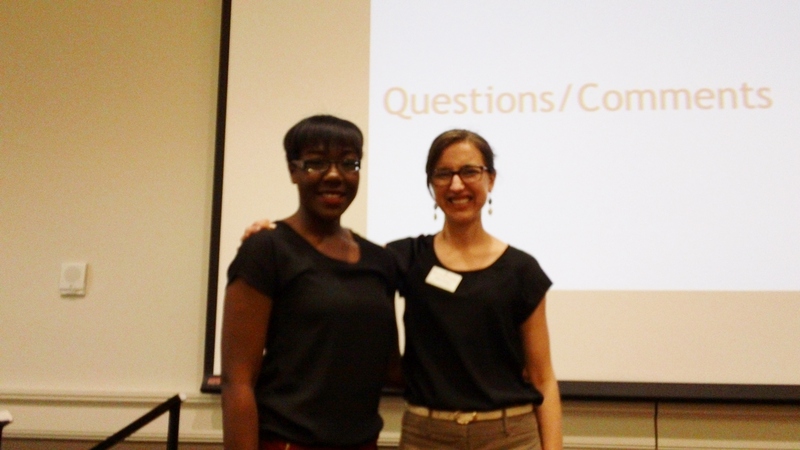 Claire Cohan (right) and spoken word poet Lise Pierre from the UGA office of Multicultural Services and Programs. 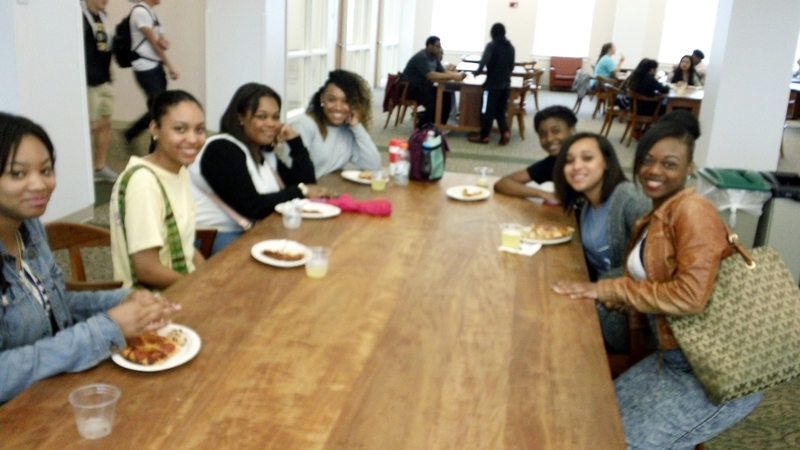 The beautiful and appreciative faces of the CCSD students and teachers as they enjoy their lunch on campus. Hope you enjoyed the continuing sharing of my #InternationalLife. 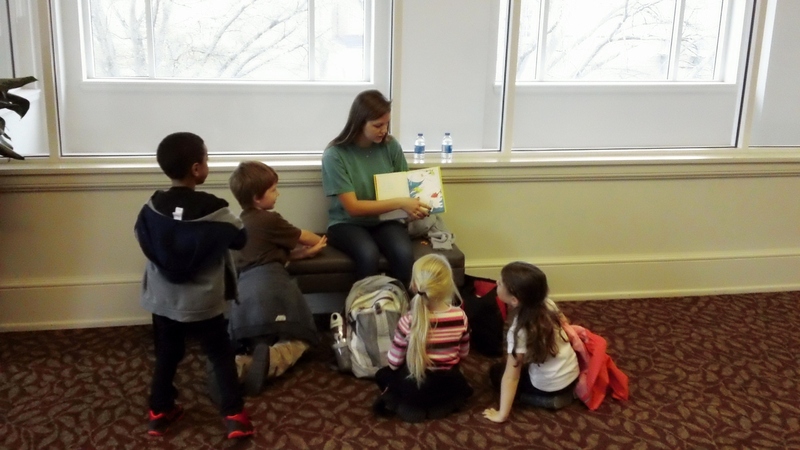 I am so loving my new job with the Experience UGA program within the Office of Service-Learning. I feel so blessed and inspired by all the people I am encountering on this journey. ❤ Until next time.